click here Kootenai elders pass down the history of the beginning of time, which tells that the Kootenai people were created by more info Quilxka Nupika, the supreme being, and placed on earth to keep the Creator-Spirit’s Covenant—to guard and keep the land forever. order now The Kootenai people lived in peace until the arrival of strangers who spoke a new language and used guns to get their way. They wanted the Native Americans to sign a treaty and move to the reservations. The Kootenai people kept the Covenant, and no Kootenai ever signed the treaty. It was a difficult time. The U.S.-Canadian border split the people into seven communities: the Kootenai Tribe of Idaho, as well as bands and tribes at several locations in British Columbia and Montana. Despite promises that the lands along the Kootenai River would always belong to the tribe, that land kept being taken away. Horrible new diseases killed many tribal members. The struggle for their homeland went on. The Kootenais never lost sight of their original purpose—to be the guardians of the land forever. They continue to work to that purpose. The Kootenai Tribe of Idaho helps to administer an environmental program that works to improve air quality, water quality and to promote recycling to reduce solid waste. The Kootenai Tribe envisions a healthy ecosystem with clean, connected terrestrial and aquatic habits, which fully support traditional Tribal uses and other important societal uses. 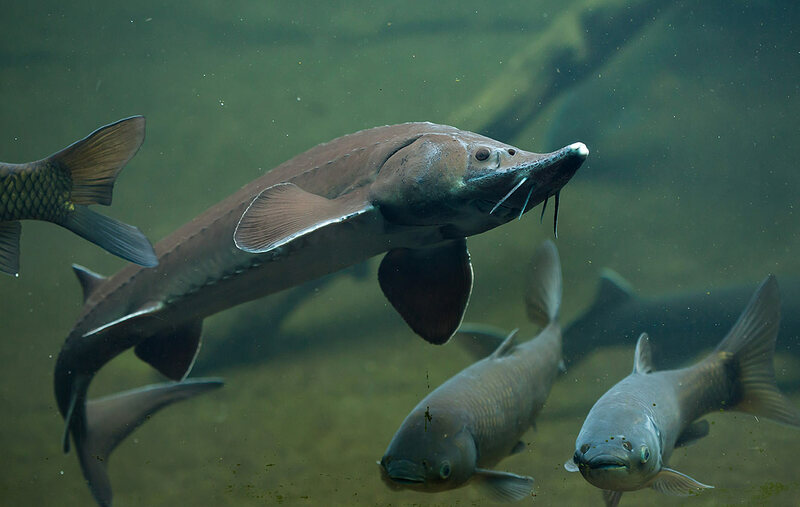 The Kootenai River white sturgeon was listed as an Endangered Species in 1994. The Kootenai Tribe of Idaho, working with other state and federal agencies as well as the Bonneville Power Administration, has been at the center of the efforts to recover this species. Conservation efforts do not end with the sturgeon. The tribe believes that all resources are joined in the web of life, and that preservation of the Tribe depends on protecting these resources. The Tribe looks to the future with the hope that native fish and wildlife may once again inhabit the Kootenai drainage in abundance. Learn more about the Kootenai Tribe of Idaho.